How do I set up my projector? How do I connect a USB device or camera to the projector? How do I project images from a USB device? Can I place the projector on a table instead of mounting it on a wall? 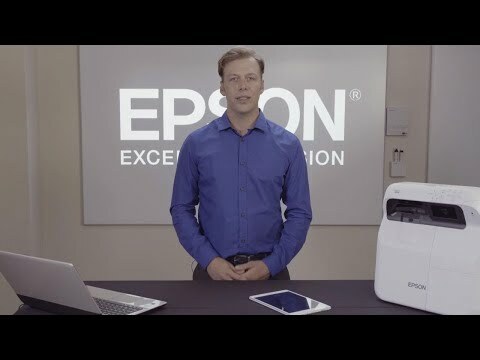 How do I connect my product over a network with the EasyMP Multi PC Projection software? How do I mount my projector on the wall? My image appears jittery or shaky when I project from a DVD player connected to the projector's Video (composite) port. What should I do? The projected image from a 16:10 projector does not fit on a 16:9 screen. What should I do? How do I reset the lamp timer? How do I clean the projection window? How do I clean the obstacle sensor? Can I access the lamp and air filter while the ceiling mount is installed? Can I access the lamp and air filter while the projector is mounted on the wall or ceiling? 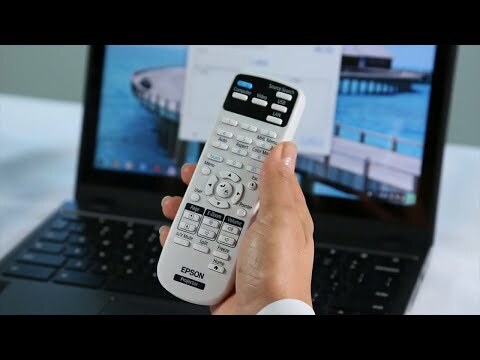 Can I use the remote control to click through a slideshow presentation? I want to install the EasyMP Multi PC Projection utility but I can't find it. What should I do? Where can I get the latest software for my projector? How do I install the USB Display software on my computer? Does my projector support audio over a network connection? Does my product come with cables to connect video or audio devices? Get support information and documentation for the Adapter Plate. This document will assist you with installation using the Ultra-Short Throw Wall Mount (ELPMB46). Contains the templates to use when mounting a projector with either the ELPMB46 or ELPMB53 mounts. Be sure to use the mount that is compatible with your projector. Note: For accurate placement, make sure you print these sheets at full size. Do not reduce or enlarge. This document contains an overview of using the EasyMP Multi PC Projection utility. This document provides technical specifications for this product. This guide provides information for selecting a compatible mount.